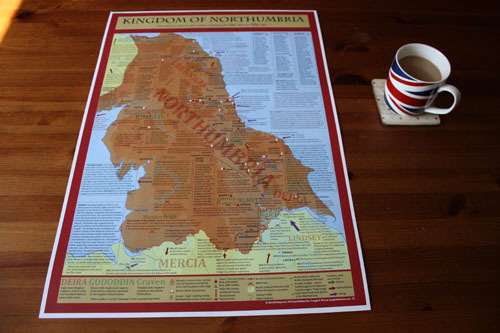 In the late 8th Century, Northumbria was plagued by weak leadership and collapsed into a state of anarchy caused in part by rivalry between the royal houses of Deira and Bernicia. 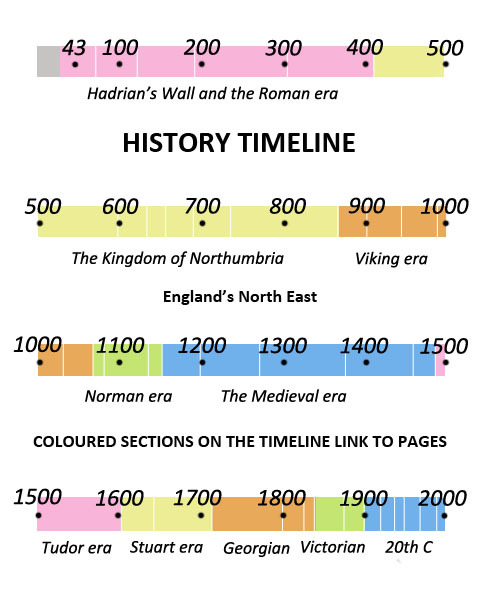 From 737AD to 806AD, Northumbria had ten kings: three were murdered, five were expelled and two retired to become monks. This instability may well have encouraged the first Viking raiders to attack the Northumbrian coast from 793AD. 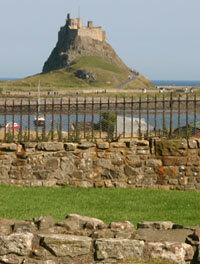 King Ceolwulf of Northumbria becomes a monk on Lindisfarne. He is succeeded by Eadbert. York Minster is damaged by fire. It will be rebuilt in 770. Bishop Boniface of Rome has written to Northumbria for editions of the works of Bede - the most popular titles in Europe. Cynewulf, Bishop of Lindisfarne, is imprisoned for plotting against King Eadbert. Eadbert of Northumbria has retired to become a monk at York. 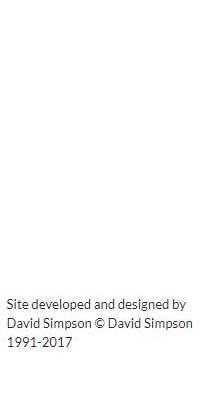 He is succeeded by his son Oswulf. Oswulf, King of Northumbria, is assassinated near Corbridge and succeeded by a Deiran called Athelwald Moll of Catterick who may be responsible for the assassination. Oswin, a Bernician noble is murdered at Consiclffe (King's Cliff) by Athelwald Moll. Peothwine is consecrated Bishop of Whithorn at Aelfet Ee (Elvet). It is the first mention of Christian activity in the Durham City area. Following a meeting at Finchale, King Athelwald Moll is forced from power and succeeded by Alhred. 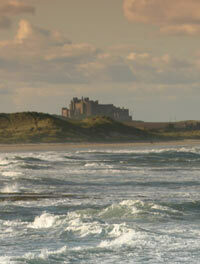 King Alhred is driven out of Northumbria by Athelred, son of Athelwald Moll. Athelred has been ousted by a Bernician called Alfwold. A number of royal nobles are murdered at Coniscliffe during the coup. Higbald has been consecrated Bishop of Lindisfarne at Sockburn. Alcuin of York, who has built up a huge library at his school in the city, has left to study at the court of Charlemagne in France. King Alfwold is murdered by his uncle Sicga and buried at Hexham. He is succeeded by his nephew Osred II who flees to the Isle of Man. Athelred begins a second period as King. A Synod has been held at Aycliffe regarding religious matters and discipline. It follows a similar meeting at Aycliffe in 782. King Athelred drowns a rival prince in Windermere and beheads Osred II at Maryport on the Cumberland coast. Athelred of Northumbria marries the daughter of King Offa of Mercia at Catterick. In an unprecedented attack which shocks Europe, a raiding party of Vikings from Norway attack Lindisfarne. Monks flee in fear and many are slaughtered. Bishop Higbald seeks refuge on the mainland. A Chronicler records: "On the 8th June, the harrying of the heathen miserably destroyed God's church by rapine and slaughter." In 794 Vikings attacked the famous monastery at Jarrow but the Northumbrians were prepared for this attack and manage to surprise and utterly destroy the Vikings. Further Viking raids on Lindisfarne and Jarrow continue throughout the year. King Athelred of Northumbria is murdered at Corbridge and succeeded by Osbald who plotted the murder. Osbald is then forced out by Eardwulf. Vikings are raiding the monasteries at Whitby, Hartlepool and Tynemouth. A monastery is established at Gainford where a chieftain called Ida is said to be buried. Alcuin of York has died at Charlemagne's court in France. He was one of the most highly respected men of learning in Europe. In 806, King Eardwulf was driven out and succeeded by Alfwold II but Eardwulf is restored following Alfwold's death. A synod has been held at Finchale on the River Wear to discuss Northumbrian church matters and discipline. Similar meetings took place at Finchale in 792 and 798AD. Eardwulf is deposed as King of Northumbria. He is succeeded by King Eanred. The Bishopric of Hexham has been absorbed by Lindisfarne. The new bishopric extends from Tweed to Tees. Egbert, King of Wessex and Mercia, and Eanred of Northumbria meet at Dore. Their aim is to ensure peace. Eanred accepts Wessex supremacy and recognises Egbert as 'overking' of England. Dore is the 'doorway' between Northumbria and the south. The monks of Lindisfarne leave the island with St Cuthbert's body to escape further raids. They settle inland at Norham on Tweed where a church is built for the saint's shrine. Eanred, King of Northumbria, dies. He is succeeded by his son Athelred II. Vikings from Norway establish Dublin as their chief coastal stronghold in the British Isles. King Athelred II is temporarily expelled and succeeded by King Raedwulf who is killed by Vikings in a coastal attack. Athelred II is restored. Athelred II is killed and succeeded by King Osbert. 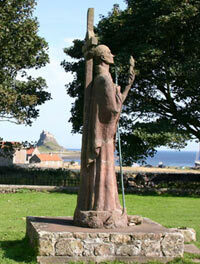 Eardwulf is appointed as the last Bishop of Lindisfarne.